In planning a design for a home, sometimes the concept does not really concern about having the sense of being accommodating or does not give a warm reception area for your family and guests. 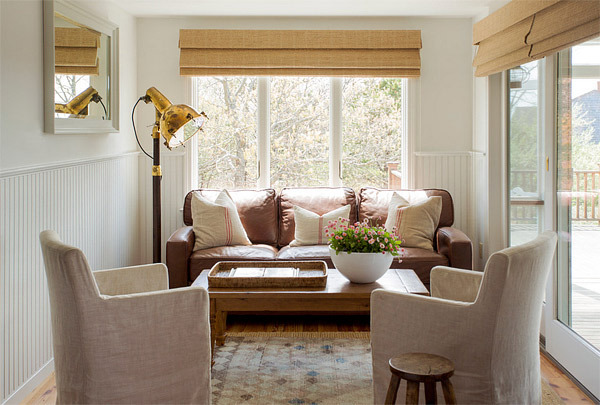 We often forget the real essence of a home – a space where everybody can relax without being bothered by everything: just like the kids that might put dirt on rugs or your pets that would make your floors so messy after a bath. If you consider these simple things and incorporate everything into your home design plans then surely you’ll get to live in a worry-free living space. Talking about fuss free living space, this vacation house in Massachusetts has 4 bedrooms and 2 ½ bathroom which is constructed in a 2,500 square feet area. It is owned and lived by a family with 4 kids and their pet dog. Before, this house once got a design of a 1940’s Cape Cod vacation home. In view of the fact that the family wanted to have a space that offers a great feel of cozy relaxation then they have requested Kelly McGuill to take charge on its interior renovation. This is one of the most important spaces for the family, that’s why this area got a serious renovation. 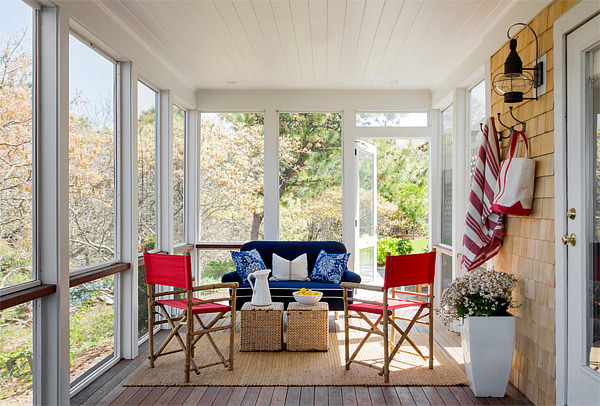 The screened porch is furnished with a series of seating areas that can welcome a bulky number of guests, and the floor got a low-maintenance material wherein pets are as well welcome. The family room is simply decorated with a leather sofa that will surely withstand wear and tear. And also the area is high-lighted with a brass floor lamp that gives a vintage sense to the area. 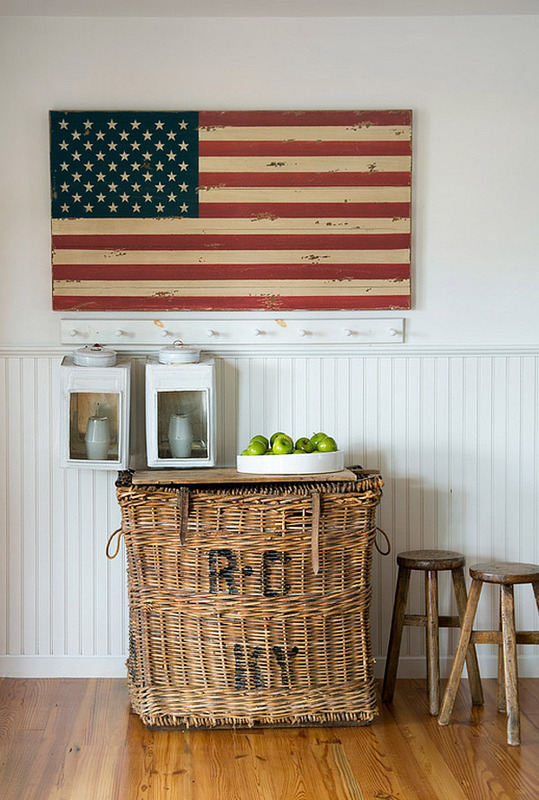 One of the hallways of the house is designed with an American flag placed on the wall and a vintage basket used as a display table was once used to ship items from market. Actually, the house got no living room, instead the designer decided to furnish the area with a wide wooden table that can hold a great number of families and guests. And just adjacent to the dining room, the fireplace got a cool transformation from a dim and unattractive color combination of bricks. At the side of it is a rustic display rack where some collected beach stuffs are displayed. The kitchen also got a fresh white transformation by repainting the cabinets with white enamel. 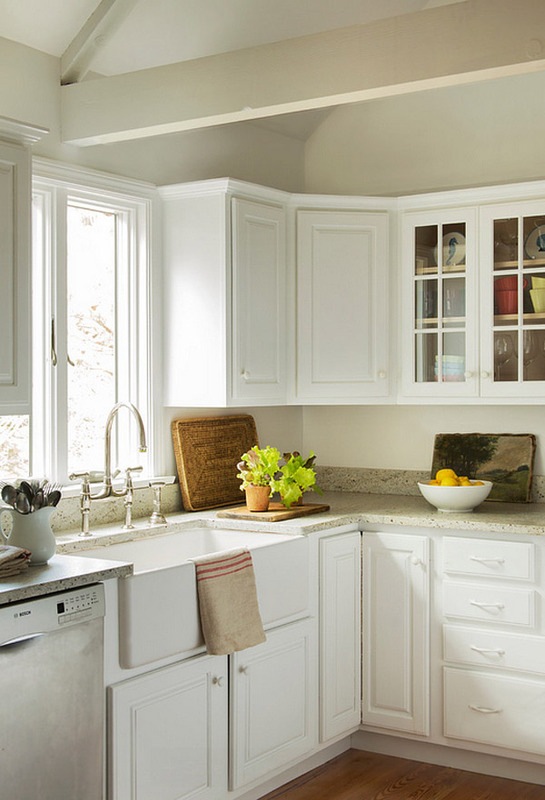 The sink, faucet and the granite kitchen countertop were additional pieces to polish the look of the area. This area serves to be the powder room were the washer and dryer are located as well. 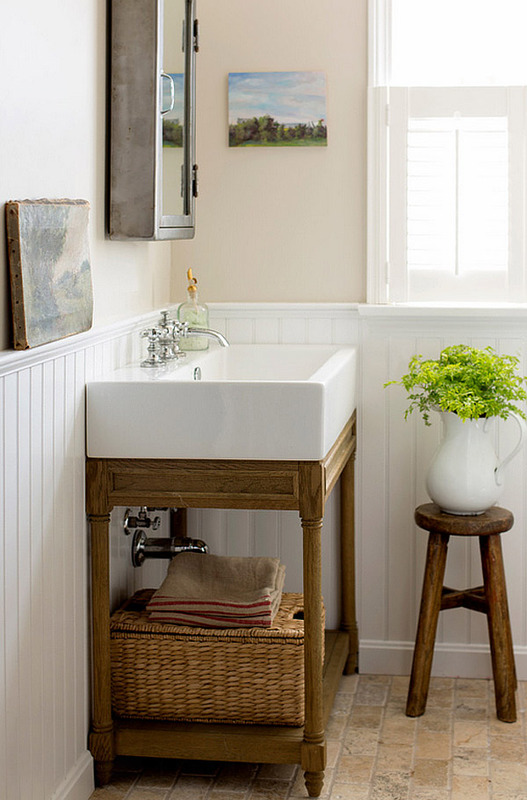 The sink completes the look of the powder room where the white and wood texture fits accordingly. 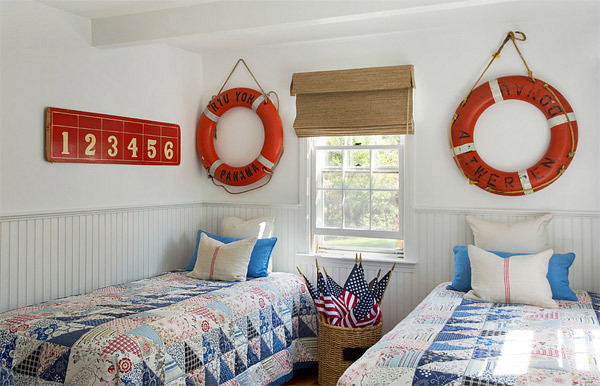 Beach-style design is greatly visible in kid’s bedroom. It is designed with vintage lifesavers and a number sign. As to what the client’s request, she wanted to have a woven Roman shades with blackout liners for window treatment that will provide satisfaction during late sleep. The master’s bedroom was hued with white and blue shades. The area is furnished with a low-maintenance rug, a vintage basket that serves as the side-table, and the vintage plates that were arranged in the wall to add a pleasing accent. This master bath is designed with earth-toned porcelain floor tiles and a marble countertop. Since, the owner got a big number of family members the idea of a bunk room was organized to accommodate their families and friends during vacations and gatherings. 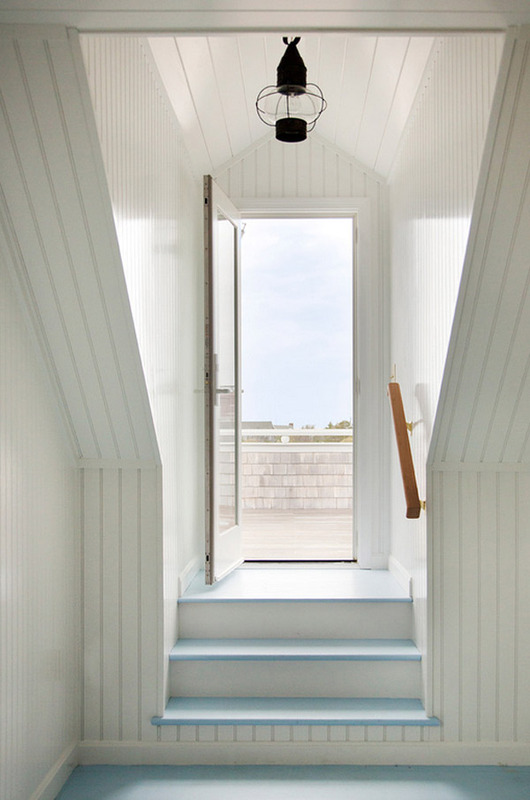 The walls of the house is generally composed of bead board and groove paneling combined with blue color for the floor. 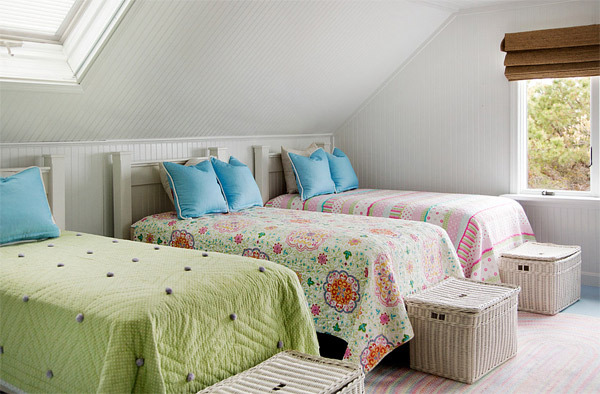 According to designer Kelly McGuill, since the family wanted a more accommodating and functional area during vacation getaway, the house can offer 13 available spaces during sleep-over. 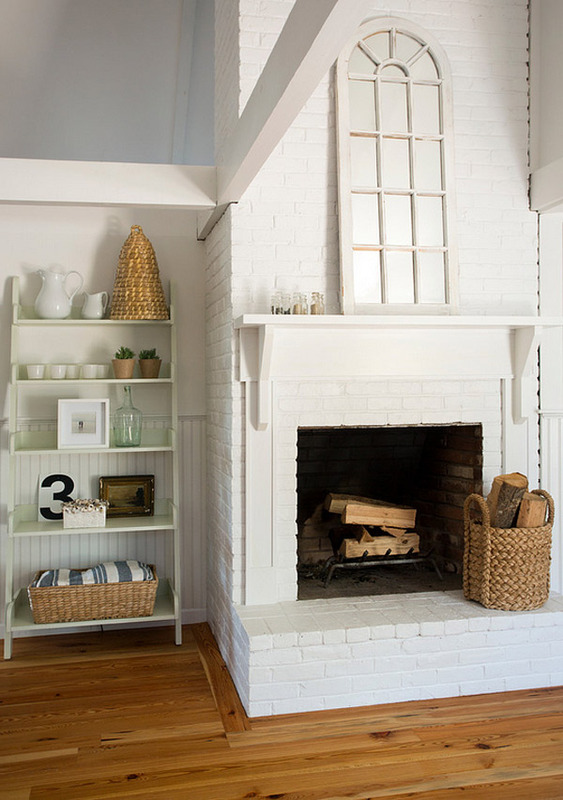 The transformation of this Cape Cod offers a home where everybody got to experience a breezy and cozy relaxation.